Have you ever noticed that your toddler’s gums were bleeding? Your first reaction is probably to assume they have been physically hurt. But maybe they come to you in a panic about blood on their toothbrush or when biting an apple. There are several reasons that a child can have bleeding gums beside trauma, and not all of them are good. Some of the reasons will require an appointment with your pediatric dentist to do a routine exam and treatment. Make sure that if you have any concern about your child’s oral health you talk to your pediatric dentist as soon as possible. Bad oral hygiene as a child can lead to bad oral hygiene as an adult too. Periodontal Disease in Children: The reason that a child can have bleeding gums can be due to gum disease. This is an issue that must be addressed by a pediatric dentist as soon as possible to find a treatment that can reverse the effects. If you notice that your child has swollen or red gums that tend to bleed when they are bumped they could have gum disease. The reason is due to lack of correct oral hygiene or buildup of plaque on their teeth. These are both major causes of gum disease and need to be addressed as soon as possible. Toothbrush with Hard Bristles: If your child is using a new toothbrush and the bristles are hard, it could be causing the gums to bleed. When you go to purchase a new toothbrush, you want to look at the bristle strength that usually is soft, medium or hard. 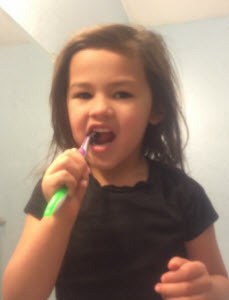 When it is a young child you want to purchase soft bristles since children are sometimes too rough when brushing. The hard bristles can be too much and could cause their sensitive gums to bleed. The soft bristles will clean just as well as the harder ones. Be sure that you get your child a new toothbrush at least once every six months and more often if necessary. Starting Flossing: When you child is very small and still getting some of their baby teeth in they probably do not floss on a regular basis. When all their teeth or many of their teeth are in you probably start them flossing. When they floss the impact of the floss can jar the gums and cause them to bleed. Gums can be sensitive to flossing until you get used to it. The best thing to do is to continue a good flossing routine and the bleeding will lessen and eventually stop. Taking Medication: If you have a child that is taking good care of their teeth, brushing and flossing appropriately without any bleeding gums and then all of a sudden their gums are bleeding; there may be another reason. If you have just starting giving your child a new medication, the side effects could be swollen gums. If that is the case the gums could be over sensitive and that could be the culprit. Once the medication is done the bleeding should stop. 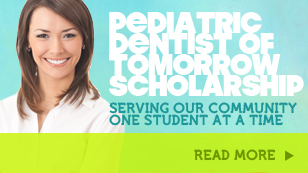 Smile Reef offers pediatric dental exams, care and treatment for gum disease and other dental issues. Call our office today. The teething process in young children can be rough. Some children don’t seem to be phased by it, while another suffers until those pearly whites break through the surface. The eruption of a child’s primary teeth (or baby teeth) varies from child to child. It is important to remember that no child is the same, and that your child’s teeth may come in at a different pace than even their siblings. Smile Reef is here to talk about what you can expect as your child’s primary teeth start to emerge. •	6-10 Months- The central incisors, or two front teeth, on the lower jaw usually erupt. •	8-13 Months- The central incisors, or two front teeth, on the upper jaw emerge. •	8-16 Months- The lateral incisors on both the upper and lower jaw come in. The lower lateral incisors usually make their appearance first. 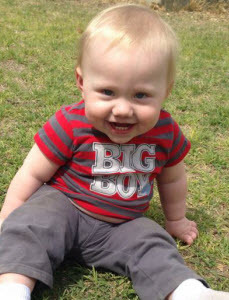 •	13-19 Months- The first molars appear at this time. These teeth will be fairly flat surfaced and located in the back of the mouth. •	16-22 Months- The cuspid, or canine teeth, which are located to the side of the lateral incisors erupt on the upper and lower jaw. •	25-33 Months- Your child’s second set of molars will appear on the upper and lower jaw at this time. Most babies are finished teething by the time they reach their 3rd year. They should have 20 primary teeth in all when they are completely finished. •	6-8 Years- Between the ages of six and eight your child will lose their central and lateral incisors on both the top and bottom. •	9-11 Years- You can expect that your child will lose their first molars on the top and bottom along with their canine or cuspid teeth. •	10-12 Years- Your child will finally lose their second set of molars at this time. At first, parents may not think they need to put much effort into caring for their child’s primary teeth because they will eventually be losing them anyway. This couldn’t be farther from the truth. Your child won’t lose their last primary teeth until they are as old as 12 years. During that time, if your child’s teeth aren’t properly cared for, they run the risk of losing them prematurely. Primary teeth need to remain intact in order for your child to eat as well as leave space in their mouth for adult teeth to emerge. Do You Really Need to Go to the Dentist Regularly? Having your child see a pediatric dentist early is very important. Not only can your child get used to visiting the dentist, but the dentist can ensure your child’s teeth development is where it should be and that their teeth are healthy. Smile Reef has years of experience caring for young children and their oral health. Call us today!